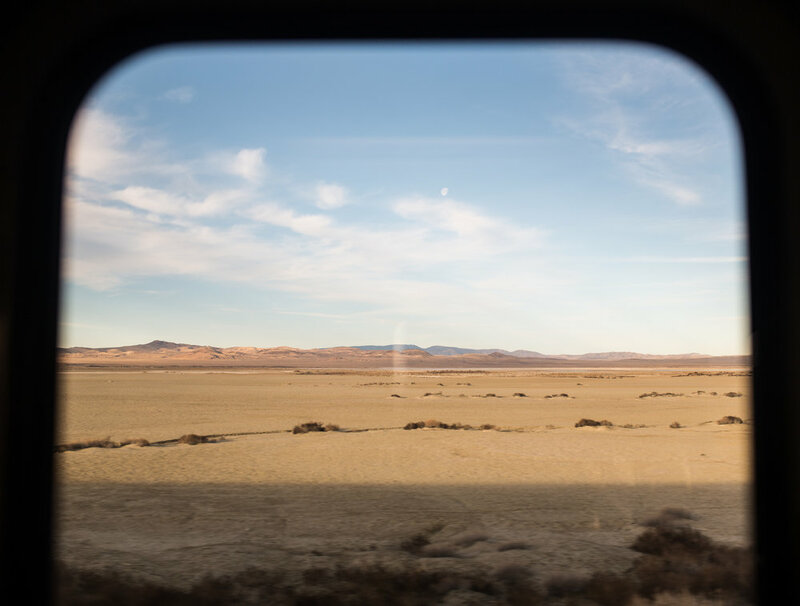 I wish I could transport you to the Observation Car right next to me, because I’m afraid I won’t do justice to the sights I witnessed and the awe I experienced throughout my ride on the train across the country. But, alas, I’m going to try my best. (Listen to this Spotify playlist to help transport you). Right before Thanksgiving 2017, I received an e-mail from someone who wanted to discuss my lifestyle photography and style. She mentioned she worked for Amtrak’s marketing team, so I figured they might need some shots of Union Station in DC shot by a local photographer. However, we hopped on the phone and she delighted me with so much more. She told me my style and eye seemed refreshing and she would love for me to take an Amtrak along one of three routes while capturing lifestyle imagery for Amtrak to use for marketing purposes. Travel? Across the country? For work? Ummmm - YES. I was flattered and elated. This also came at a time in my life where a new challenge, adventure, and a fresh perspective almost seemed necessary. I had just ended a four year relationship and almost all of my contracts had come to an end. Timing, man, is really everything. 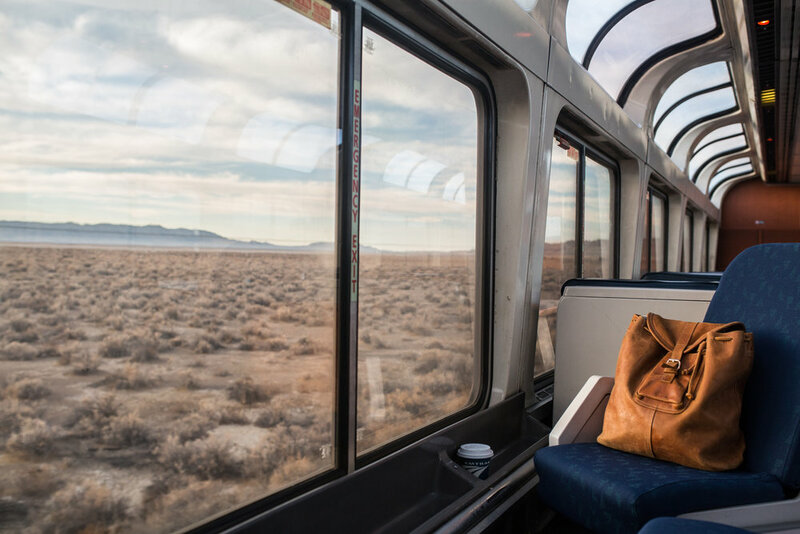 I chose to experience the California Zephyr, which meant I would take the train from Denver, Colorado to Emeryville, California. In order to get to Denver, I would need to hop on the train in DC and ride to Chicago. I had friends I had been eager to visit in both cities, so this route, along with the winter views promised, was a no-brainer. (Side note: the comical thing about this whole trip is that my assignment was to capture the winter scenes from the perspective of a traveler and it ended up being colder in DC than all three destinations. #ClimateChange #SoScary). Now, packing for this adventure seemed confusing - three cities, three different climates - how does one do that minimally?! Essentially, I learned how to become a professional packer from this very experience. There was no chance I was going to be venturing around these cities with a ton of baggage with me. I meticulously rolled my shirts, jeans, sweaters - along with a few props - and I was ready! (this suitcase was my savior, plus these jeans and this jacket). Yup, I even surprised myself on this one. So, on a Monday morning in January, Mary, one of my best friends, and I arrived at DC’s Union Station. Mary came along with me as my model. We brought a bag of light bites and wine and hopped on the train. Since we were going to be on the train overnight, we rode in the sleeper car. If you had never seen one of these, you are not alone. Basically, it is two large chairs facing each other that fold out into bunk beds. I’m 5’8 (and ¾), and let’s just say it was a very cozy slumber party. We tossed our stuff into our “room” and explored the rest of the train. I seriously had no idea something like this existed and was so intrigued by the whole situation. 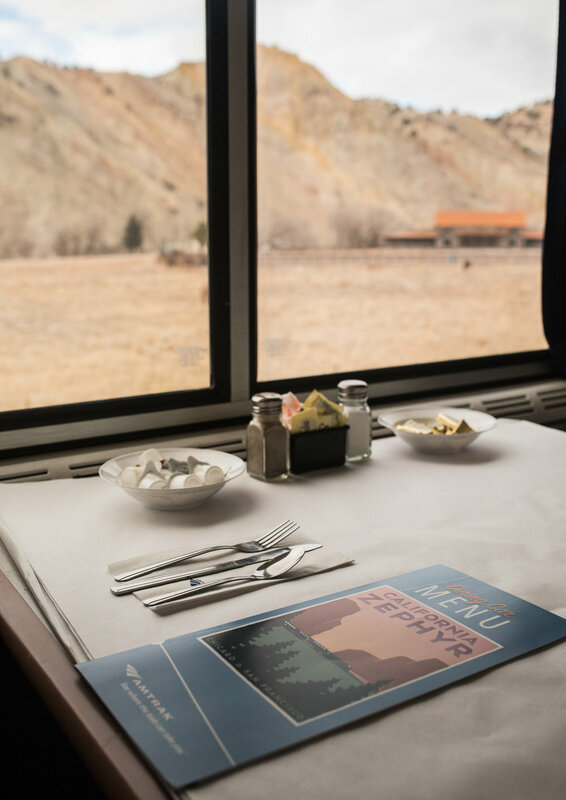 We walked into the dining car, where we would eat breakfast, lunch, and dinner on this journey, and then stepped into the Observation Car. This is where the magic happened and where we would spend most of our time. Big, beautiful windows that turned the vast plains of the midwest into a movie you never wanted to end. I remember sharing a photo of the car on my Instagram story, and I woke up to over forty messages asking where I was. Truly beautiful and utterly breathtaking. The trip from Washington, DC to Chicago was pretty flat and pretty dark since we departed around 4 p.m. 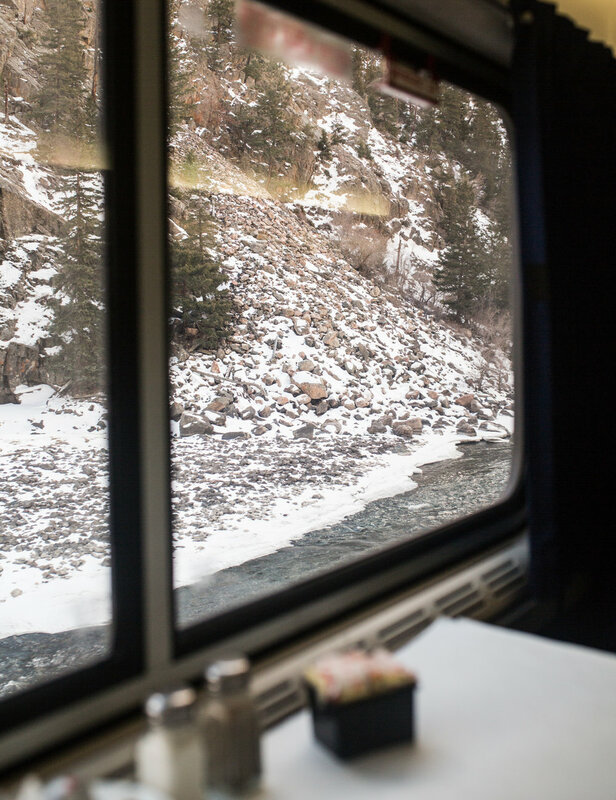 In the morning, we woke up, grabbed a coffee and cozied into the Observation Car to catch the views. 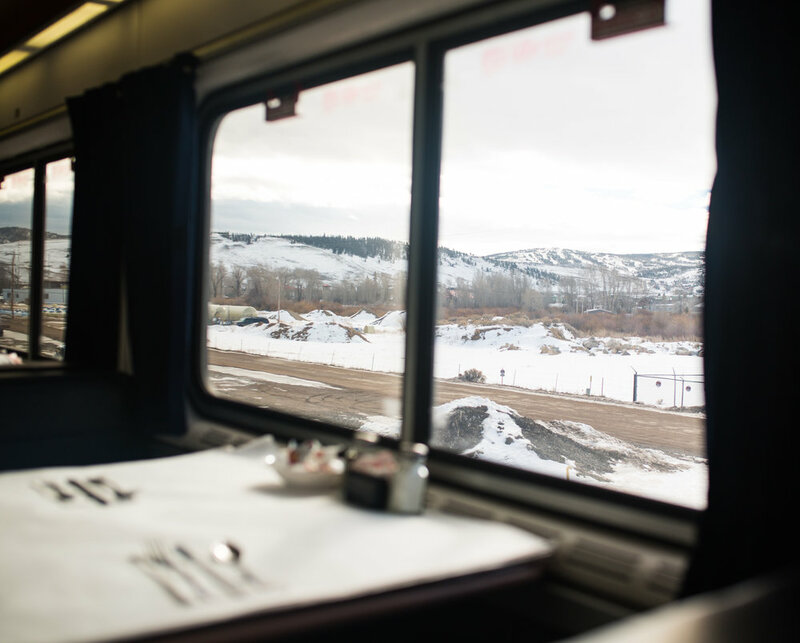 It’s tough for the Midwest to compete with the views we later saw on the California Zephyr, but it was a welcome change to our usual office digs: plenty of sunlight and space. Although Wifi is available, it can be pretty spotty at times, especially as you move in and out of cities. Word to the wise: come prepared with a book… or three. Additionally, around this time I realized a flexible itinerary is almost necessary when travelling by train. We were delayed three hours getting into Chicago due to a freight train in front of us. I would make sure not to plan anything too time sensitive on the days you’re travelling, as this experience was the true test of living by the words ‘it’s not the destination, it’s the journey’. 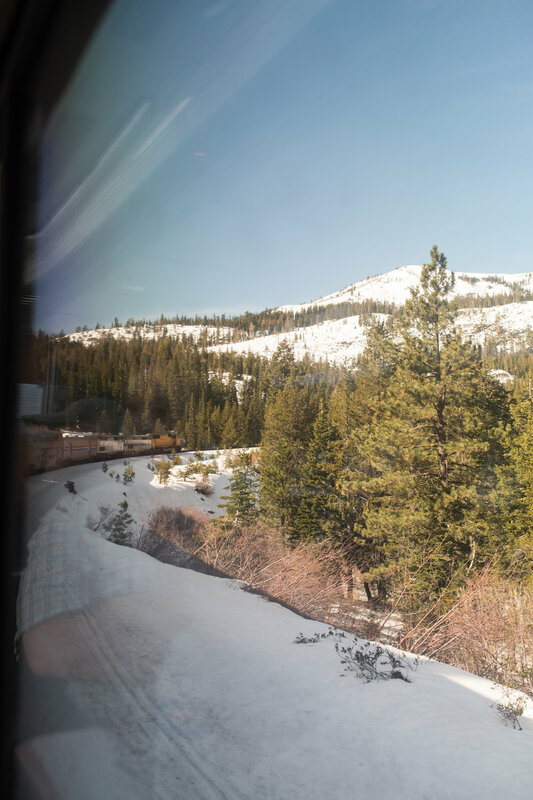 Having been the one human who lugged around a camera throughout the train, I had a lot of people approach me to inquire about what I was doing. This was one of my favorite aspects of the trip: meeting amazing individuals from all walks of life and hearing their stories. On our first night, I met a guy who had just visited friends in New York. He was heartbroken over a recent breakup and was taking the long road home via train to work on his photography and gain some fresh inspiration for the situation he was about to face going back to his apartment, which had once been shared with his significant other. He stood out to me right away. He was charming, curious, and was incredible at capturing the sunsets. We would take photos and exchange them with each other, praising and questioning each other’s unique styles. We shared the morning sunrise together doing the same. And thanks to the power of social media, we’ve stayed in touch over the past few months and I have loved following his creative journey. 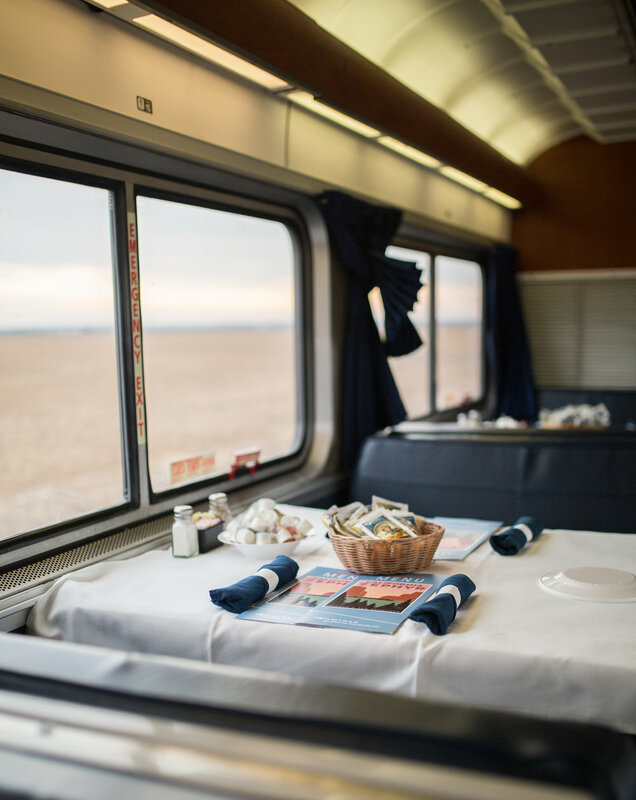 Over dinner one night, I met a doctor from New York City who took a solo cross-country train trip annually to give herself a break from the intensity of her job. Each time she took a different route, and always brought a stack of books that would be her main escape / source of entertainment. I applauded her dedication to self-care by taking this time for herself each year, and made a mental note to attempt to do the same (we all should!). Another morning in the Observation Car, I met a farmer in his mid-forties from Iowa who had never taken a trip this far from his home. We sat together in awe at the sights through the Rockies and talked about life, love, and the importance of timing in all facets of life. He had recently ended his second marriage. I was really grounded after talking with him, feeling extremely privileged to have led the life I have thus far, and was even more appreciative of our encounter after hearing of his experience and perspective on partnerships and hard work. It definitely encouraged me to continue the practice of shopping local and supporting my local farms! Over lunch another day, I met a couple who had been waiting to take the California Zephyr for their 40th wedding anniversary. They were from Texas, and much like my family, their children and grandchildren lived very close to their childhood home. They welcomed me immediately asking me questions about my parents, my career, and shared stories from their family. It felt as though they had been my next-door neighbors for years and we were merely catching up over a quick bite. That southern charm is truly something special! 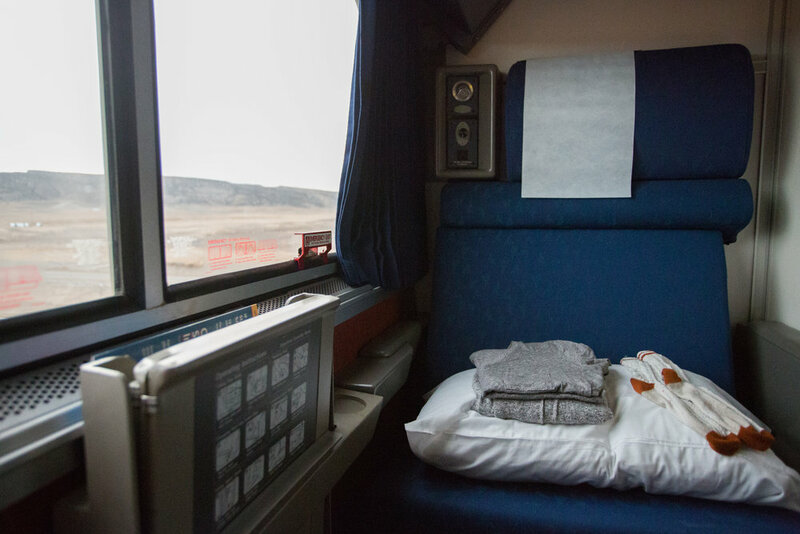 On this last leg of the trip, I connected with the woman who was staying in the roomette across from me, which proved to be a short, albeit great, relationship. We knew how to give each other the perfect space, but made sure we were together when the other wanted company. We talked about everything from her recent retirement from medicine in Norfolk, VA to the difference between indica and sativa strains of marijuana (I had just come back on the train from Denver). She was fascinated by the fact I had started my own company at the ripe age of 24 and I entertained her curiosity and was interested to hear her thoughts. We drank wine, exchanges stories and watched the sunset over the Sierra Nevada. To this day, I still don’t think I’ve ever seen something so beautiful. My favorite part of this journey, aside from meeting these amazing individuals, was the last leg of the route from Denver, Colorado to Emeryville, California. Personally, I hadn’t previously traveled a lot out west, so I’d only ever marveled at these landscapes in movies. Have you ever seen Into The Wild? With each new mountain and shimmering body of water, I felt as though I was following Christopher McCandless on his journey to self-realization (cue Eddie Vedder's "Toulumne"). I didn’t move from the Observation Car for most of this day because I didn’t want to miss a single thing. I didn’t need any entertainment, conversation, or company. I felt one with the steady frozen stream that flowed gracefully through The Rockies as I listened to “Your Protector” by Fleet Foxes. It was as if a book was written about this experience and I somehow became the character. The fascination was all encompassing and I couldn’t imagine a better place to be than in that moment (take a look at the gallery below for many more images from this leg). This is how I spent the majority of the rest of my trip until we reached Sacramento and I hopped out for fresh air and some leg stretching. At which point, I was ready to be on solid ground where I could not only use my eyes to explore, but my legs. The route ended in Emeryville, California, just about 45 minutes outside of San Francisco. Since I had never been to SF, I thought it was the perfect time to explore. As it turns out, this was a decision that would change the trajectory of my life because, you see, this train ride, that had started out as a project, unknowingly led me to a city that I would call home only a few short months later. 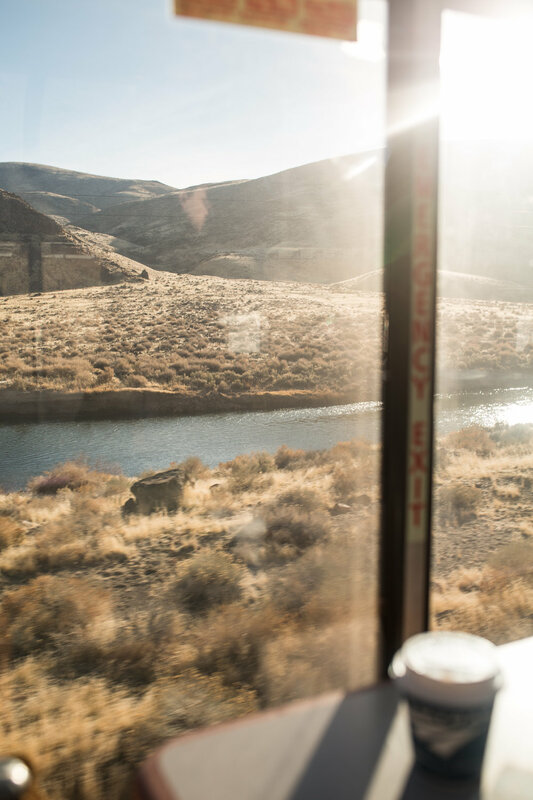 If you had asked me one year ago where I would be, I can tell you with certainty that my answer would not have been where I am today, and I have to thank this train ride across the country for that. Every time I look at any of these incredible images of the views from that car, or one of those songs from that Spotify playlist comes on, those feelings of peace and awe come flooding back to me. So, I encourage you to buy the ticket. 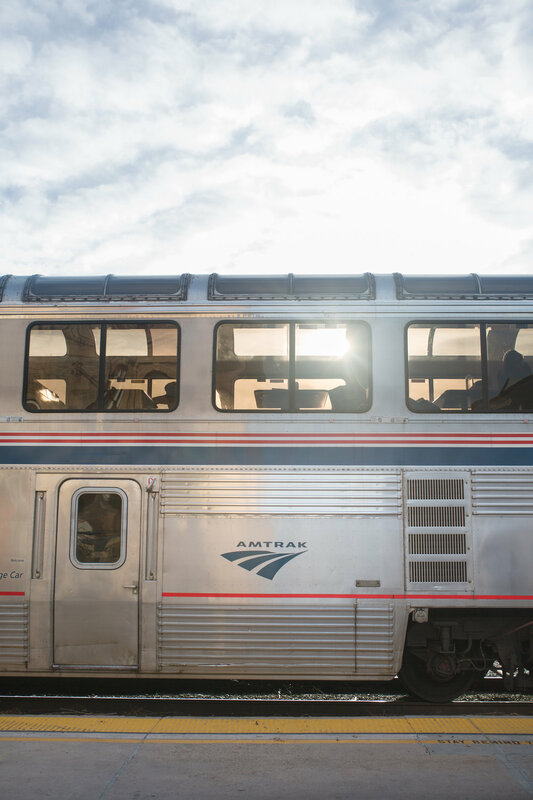 Hop on the train. Stare in awe at at this beautiful world we live in. Turn your phone off and connect with people whose stories are far different than yours. And finally, connect with yourself. You might just find yourself at home in a new city too. I wish I could share all 7,000 images with you, but for now this will have to do. 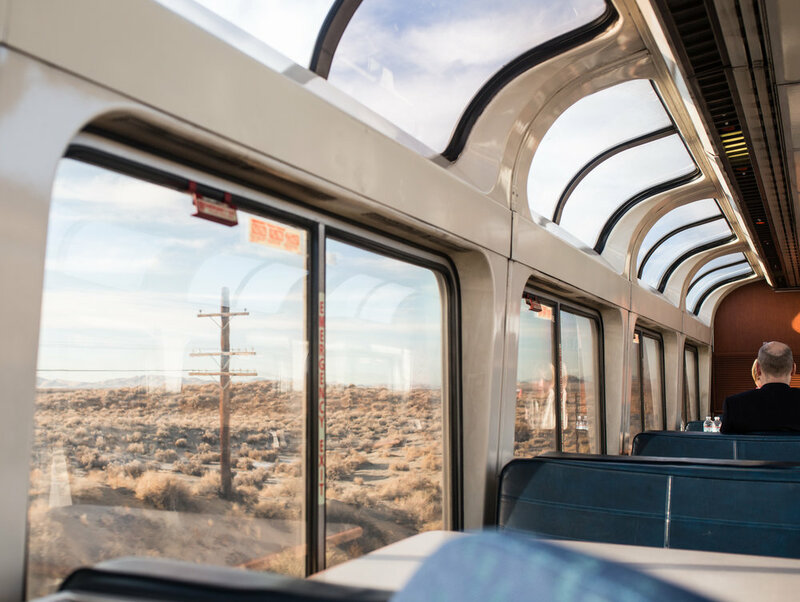 If you want to learn more about Amtrak’s California Zephyr (of course you do), click here! Be sure to follow along my newest adventure in California on my Instagram!